As 2018 ends and 2019 begins, I wanted to take a moment to look back at some of the highlights – moments of new beginnings, musical friendships, adventures and projects. The year began on the TEDx stage in this story told ‘from the Harp’ about my 20-year journey to reinvent the 75-lb classical concert harp so I could wear it on stage. It’s about how a bicycle inspired the technology of an instrument — and it’s about the visionary French harp builders who took my dream and made it a reality – for a whole new generation of musicians. WATCH it HERE, and then share it with anyone you know who’s had a dream that seems to be taking forever to come to true – because sometimes it takes way longer than you think! At my February 3rd show at TCAN in Natick, MA, I released my NEW 2-CD collection. “The Essential DHC” two-volume collection of all-originals instrumentals and vocals. Click HERE to see what tunes are on each CD and to purchase the digital collection. 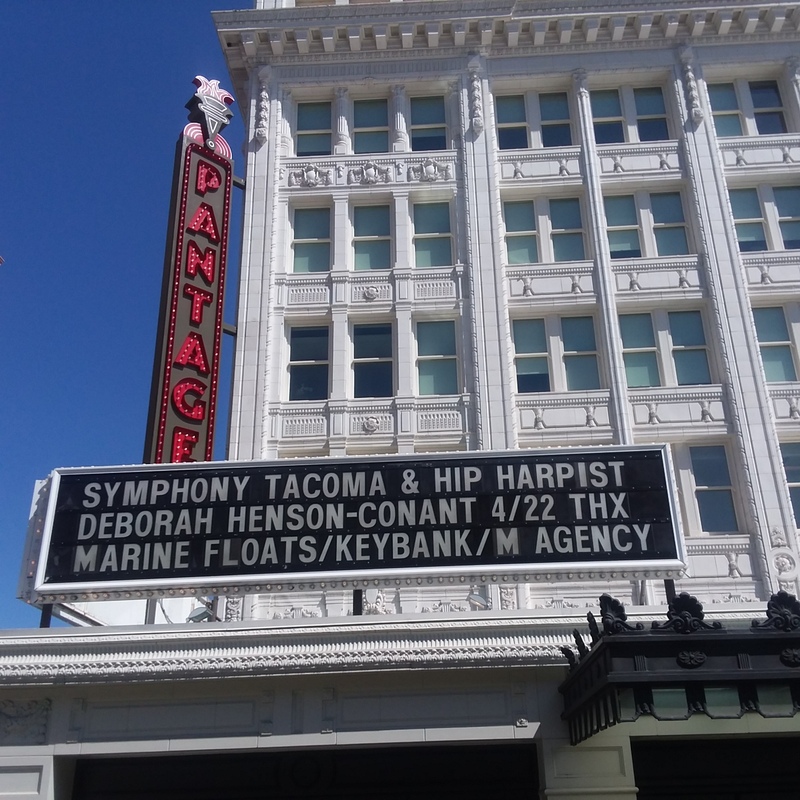 In April I traveled to Tacoma, WA where I had the joy of playing with the passionate (and sometimes unexpectedly comedic) musicians in Symphony Tacoma and their great new conductor Sarah Ioannides – and to introduce the “Tacoma HarpBreakers” to the stage – a group of harp players of many ages from the Seattle-Tacoma area, who created an ensemble just for this show. READ MORE & see more pictures HERE! 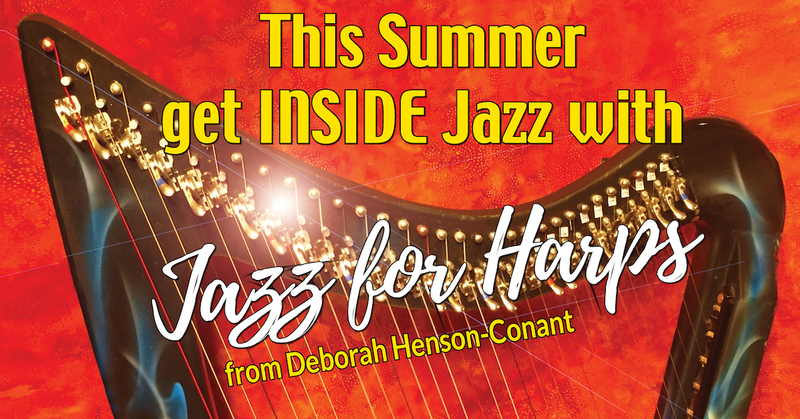 In June, we introduced NEW curriculum at Hip Harp Academy! 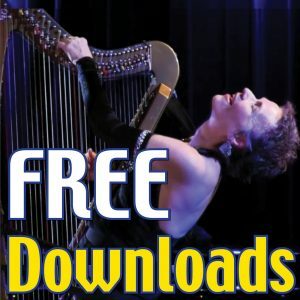 A new course called “Jazz for Harps” – a 12 week program that ran through the summer where I taught the basics of Jazz from a HARP perspective. It was the first new class in a few years and it will of course be available again in 2019 at Hip Harp Academy! Learn more about Hip Harp Academy HERE! Imagine a beautiful retreat in the Paraiba River Valley, rolling green hills and a temperate climate, in the Atlantic Forest, only three bus hours from Rio de Janeiro … You are at Uaná Eté Music Garden. In this magical place, harpists from all continents got together in July for ten days and immersed themselves in the world of jazz, with a special focus on bossa nova and samba in the very place where its root rhythms originated over 200 years ago. 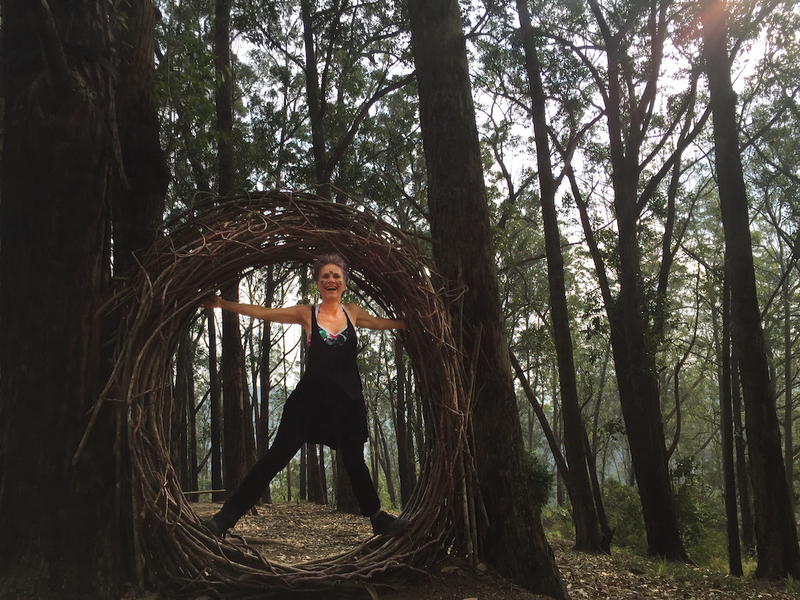 CLICK HERE to read about my 10 days in a forest paradise and see lots of photos too! This year we renovated the first floor at Hip Harp Headquarters and turned it into a mini-retreat center with a video studio — and in August I inaugurated it with the first of a series of videos that explores what happens the first time musicians play together. 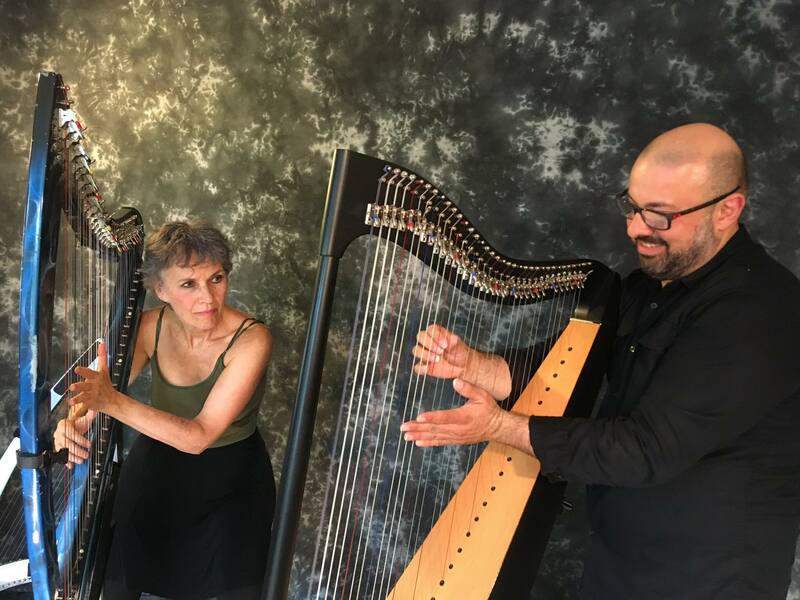 Eduardo Betancourt, a fabulous Venezuelan harpists, recently moved to the Boston area – and so I invited him for the maiden voyage of this project. READ MORE & see more pictures! It happened last September. 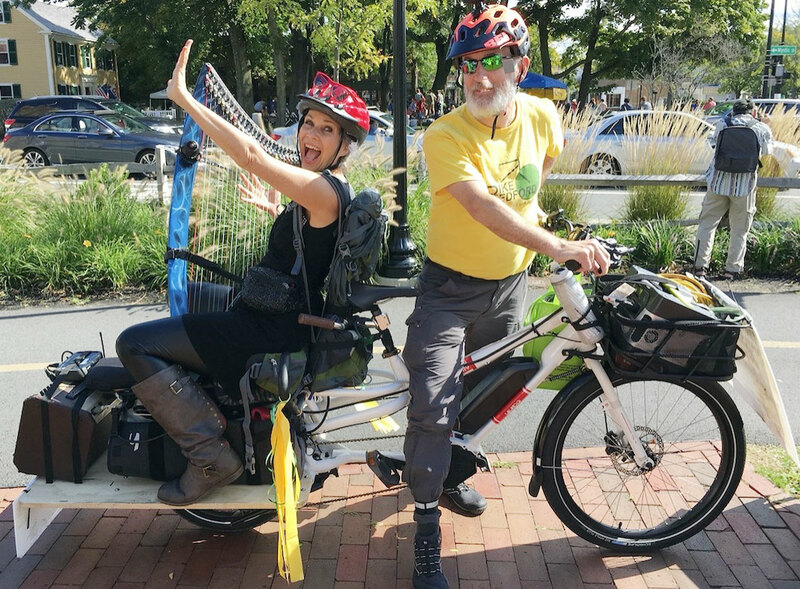 I got to live my dream of riding on the back of a bike while playing my harp. We rode 12 miles from the one end of the Minuteman Bike Trail in Bedford, through historic Lexington and to the other end in Arlington, MA. And it was glorious!!! I was playing and singing the whole time, while bike wizard Dave Enos pedaled and steered. Want to know the how and the why? READ MORE HERE! When I told a friend last October that I was going to play at the new art-installation-bus-shelter celebration — he asked me: why would someone who’s played in big theaters in front of thousands of people want to play in a bus kiosk? I actually came up with a list of 5 reasons why! You can READ THEM HERE & see lots more pictures and a video too! 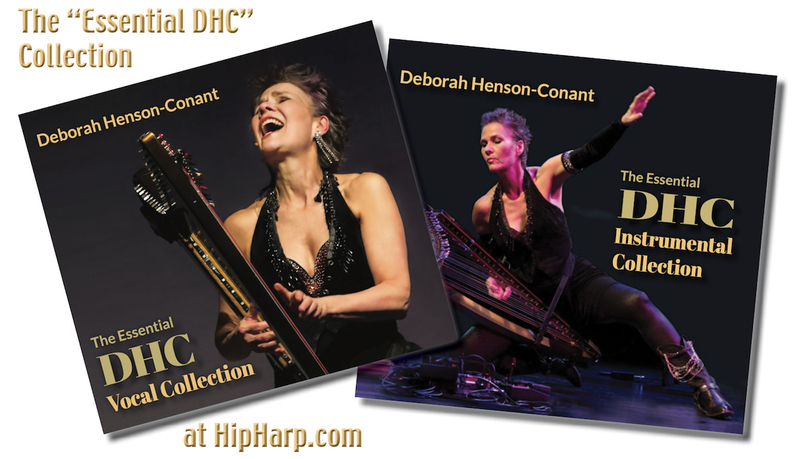 In Fall 2018, we embarked on a pilot project for a collaboration between Robbin Gordon-Cartier – harpist, soloist and educator – and me, The “DHC Challenge” uses my harp concertos to support community & learning by teaching the concertos to harp ensembles and then performing them with community orchestras. 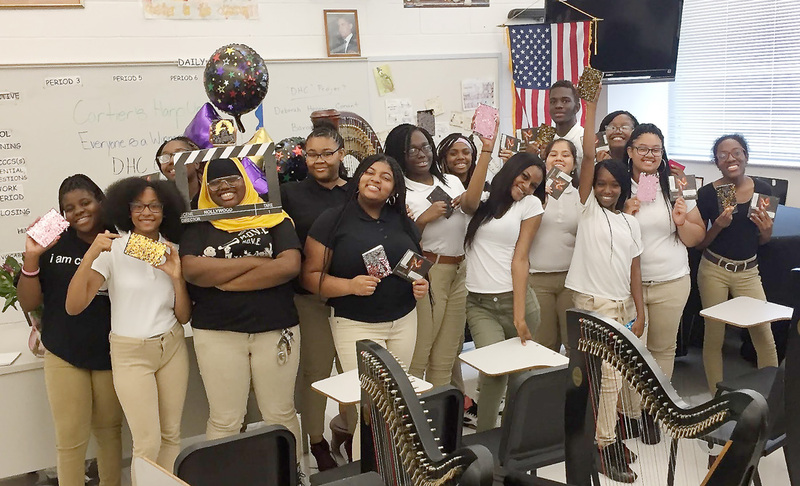 In this pilot project, Robbin’s 41 harp students at the Cicely Tyson School of Performing Arts studied my music and then performed 3 of my pieces for harp & orchestra in concert with the West Shore Symphony Orchestra Nov. 19, 2018. You can read more about the project HERE, and link to videos and photos from the classroom too! I’ve been workshopping my musical “The Golden Cage” all year. 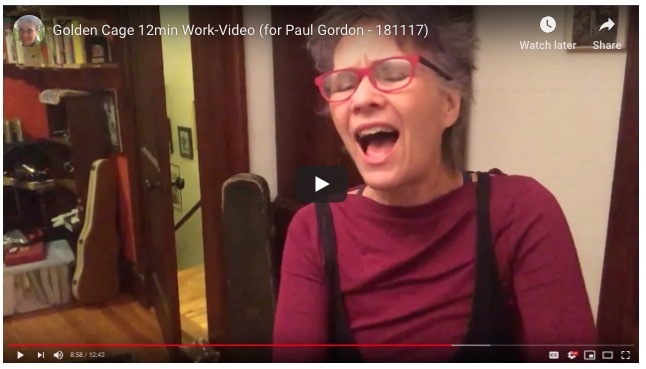 I created a ‘work-video’ which is a 12-minute ‘short story’ version – or musical synopsis – of the 75-minute, 2-character show. I created this 12-minute short version so I could share the whole show in person as I start looking for theaters to collaborate with on the workshopping process — and for people interested in investing in the production that’s scheduled for 2019. Thanks DHC for letting be part of 2018 with you. It’s been a blast and a real learning experience.